DARK BROWN ROAST (Dark-Brown Roast) – The coffee beans are oily in this medium-dark roast that is low in acidity and may exhibit a distinct bittersweet tang. Also see Medium-Dark Roast; Roasting Coffee. DARK FRENCH ROAST – Nearly black in color, a Dark French Roast creates a bittersweet flavor with tones of charcoal and burned qualities – the coffee beans are very shiny. Also see Dark Roast; Roasting Coffee. DARK ROAST – See Dark Roast. DEAD EYE – See Espresso Drink Recipes. DECAFFEINATED COFFEE (Decaffeinating Coffee; Decaffeination Process; Decaffeination Methods; Decaf) – See Decaffeinated Coffee. DECAFFEINATED TASTE – A process taste fault common in decaffeinated coffee due either to flavors added during processing or flavors lacking due to processing. Also see Decaffeinated Coffee. 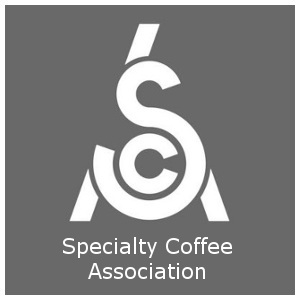 DECAFFEINATION AGENTS – Substances such as supercritical carbon dioxide, triglycerides, ethyl acetate, and methylene chloride, which are used in the process of decaffeinating coffee. Also see Decaffeinated Coffee. DECAFFEINATION DIRECT CONTACT METHOD (Decaffeination Direct-Contact Method; Decaffeinating Coffee Direct Contact Method) – See Direct Contact Method of Decaffeination. DECAFFEINATION INDIRECT CONTACT METHOD (Decaffeination Indirect-Contact Method) – See Indirect Contact Method of Decaffeination. DEFECT (Bean Defect; Defective Bean; Defective Coffee Bean) – See Coffee Defects. DEFECT – FLAVOR/AROMA (Defective Flavor; Defective Aroma; Defective Odor; Defective Taste) – See Coffee Defects. DEGASSING – The process of carbon dioxide gases releasing from freshly roasted coffee. DELICATE – A secondary coffee flavor characteristic; a sweet and subtle, fragile taste near the tip of the tongue. New Guinea Arabica Coffees that are washed often typify this delicate quality which is created by a combination of salts and sugars that are at the lowest level possible to cause a sweet cast to the flavor that is broken up easily by other flavor sensations. DELIVERY GROUP – The part of an espresso machine (espresso maker) which the portafilter clamps into. Typically the delivery group, also called the brew head or group, sticks out the front of the espresso machine. DELONGHI (DeLonghi Espresso Machine) – See Coffee Companies. DEMITASSE – A cup that holds approximately 3 ounces of liquid, and which is used to serve a standard 1½ ounce shot of espresso. DEMUCILAGING – The process of removing the mucilage of the coffee cherry (fruit). The mucilage is the sticky substance beneath the pulp and skin of the coffee cherry yet outside of the coffee bean. A machine may be used to complete the demucilaging process (mechanical demucilaging) or it may be done through fermentation. DENSITY – In regard to evaluating coffee, density refers to the ratio of the density of pure water to the density of the particular brewed coffee being tested. Also called Specific Density. DEPTH CHARGE – See Espresso Drink Recipes. DETRIMENTAL AROMA SENSATION/DETRIMENTAL TASTE SENSATION (Detrimental Odor Sensation; Detrimental Flavor Sensation) – Coffee exhibiting a bitterness/harshness due to sugars being taken in by the coffee cherry (fruit) when it remains on the branches while drying. Detrimental aroma sensations – ranging from medicinal to caustic – are most common among dry processed (natural; unwashed) coffees. DEPTH – A subjective coffee descriptor denoting a coffee’s sensual power, or ability to support its taste and aroma sensations with a ringing, echoing, or resonance, as opposed to a coffee that is perceived well on the palate and then stays the same or quickly fades. DEVELOPS IN THE FINISH – Describes a coffee with a finish that changes significantly from the initial flavors in the mouth when the coffee is first sipped. DILUTION – The process of adding water to coffee during brewing or after brewing to adjust either its strength or yield. DIRECT CONTACT METHOD OF DECAFFEINATION (Direct-Contact Method; Direct Method Decaffeination; Direct-Method Decaffeination) – See Direct Contact Method of Decaffeination. DIRTY – A grimy flavor/aroma that is distinct from earthy/musty qualities. The flavor is literally dirty. DISEASES – See Coffee Plant Diseases and Pests. DISPERSION SCREEN – As a part of the brew group of an espresso machine (espresso maker), the dispersion screen ensures the proper dispensing of water over the bed of roasted and ground coffee so that the water is dispensed evenly and in a wide pattern to simultaneously saturate all of the ground coffee in the portafilter/filter basket. DJAMPIT COFFEE ESTATE – One of the five largest Dutch colonial estates on the eastern end of the island of Java in Indonesia. The finest Java coffee comes from these large plantation estates established by the Dutch government in the 18th century when Java was part of the Dutch East Indies. Together these large estates – Kayumas, Tugosari, Blawan, Pancoer, and Djampit – encompass more than 4,000 hectares of coffee tree plantings. Djampit coffee is also called Jampit. 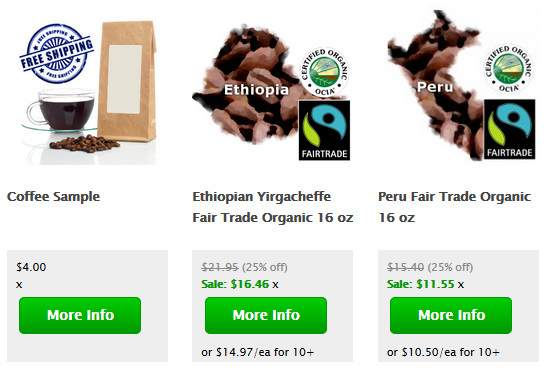 DJIMMAH COFFEE (Djimah Coffee; Djima Coffee) – See Ethiopian Djimmah Coffee. DOMINICAN REPUBLIC COFFEE – See Dominican Republic Coffee. DOPPIO ESPRESSO – See Espresso Drink Recipes. DOSER – A device on some specialized espresso coffee grinders (e.g., burr coffee grinders made for use with espresso machines) which utilizes a spring-loaded mechanism to dispense ground coffee in a given measure (e.g. a single serving) when the lever on the side of the doser is pulled. DOSE/DOSAGE – The quantity of coffee required to brew a single shot of espresso in an espresso machine (espresso coffee maker) – typically 7 grams to produce a 1.5-ounce espresso. Some specialized espresso coffee grinders (e.g., burr coffee grinders made for use with espresso machines include a doser that utilizes a spring-loaded mechanism to dispense ground coffee in a given measure (e.g. a single serving, dose, or dosage) when the lever on the side of the doser is pulled. DOSER – A device on some specialized espresso coffee grinders (e.g., burr coffee grinders made for use with espresso machines) which utilizes a spring-loaded mechanism to dispense ground coffee in a given measure (e.g. a single serving, dose, or dosage) when the lever on the side of the doser is pulled. DOUBLE BASKET – An espresso machine filter basket that holds 14 grams of coffee for a double shot (doppio). This is the most common type of filter basket, which is a metal, perforated, bowl-shaped basket that fits within (inserts into) the portafilter of an espresso machine and holds the roasted, ground coffee for brewing. The many holes in the bottom of the filter basket allow the brewed (extracted) espresso to seep through and flow out of the spout into a demitasse or other cup. DOUBLE ESPRESSO (Double Shot) – See Espresso Drink Recipes. DOUBLE ROAST – See Dark Roast. DRIP FILTER COFFEE/DRIP COFFEE/DRIP BREWING (Drip-Filter Coffee; Drip/Filter Coffee; Drip Filter Method; Drip-Filter Method; Drip/Filter Method; Drip Method) – A method of brewing coffee that involves pouring hot water over a bed of roasted, ground coffee. The hot water flows through a bed of ground coffee, extracting the coffee beverage, which then passes through a filter of either paper, metal screen, or cloth, which separates the coffee grounds from the coffee beverage. The Drip Filter method typically uses an automatic drip coffee maker. Water is placed into the drip brewing machine which then heats the water and drains it onto the ground coffee. As the water seeps through the coffee grounds it absorbs the coffee flavoring materials which give coffee its flavors and aromas. The coffee beverage then drains through a filter (usually a paper filter) and into a coffee pot. Drip Filter coffee is also commonly made without a machine by simply pouring hot water over the roasted, ground coffee that is placed in a filter. The water then seeps through the ground coffee, absorbing the coffee flavors and aromas. The coffee beverage then passes through the filter into the coffee cup or coffee pot. The Drip Filter Method is also called Drip Brewing, and Drip Coffee. DRIP TRAY – A part of an espresso machine (espresso coffee maker) that is beneath or is part of the cup tray that holds the demitasse or other cup when the operator (e.g., barista) is pulling a shot of espresso. The drip tray is located directly beneath the brew group and serves to catch any overflow or spillage that occurs during brewing. The drip tray is typically made of either metal or plastic and on many machines it may be removed so that it may be emptied and/or cleaned. If the espresso machine has a 3-way solenoid valve then the drip tray serves as the drainage area for the valve subsequent to the pulling of an espresso shot. DRUM ROASTER – A vaned metal drum that roasts coffee beans using the heat of the metal drum and possibly also by a flow of hot air. DRY – Describes a coffee’s acidity with a finish that produces a dehydrated/parched sensation in the mouth. Similar to bright, but the opposite of sweet or clean. Gourmet coffees that are delicate and light tend to also be dry. DRY AROMA – The aroma, or fragrance, of ground, unbrewed coffee, as opposed to the wet aroma, which is the aroma of the brewed coffee. DRY CAPPUCCINO – A standard cappuccino except with more foam than usual. See Espresso Drink Recipes. DRY DISTILLATION – The process of measuring the soluble solids in a particular coffee by using an oven to evaporate the water from the brewed coffee and then weighing whatever coffee flavoring material residue remains. DRYING CHAMBER – Used in the process of making freeze-dried coffee to remove the water from the coffee concentrate, drying the coffee very quickly. The temperature of the frozen concentrate in the drying chamber (vacuum chamber) is typically raised to just above freezing, yet the concentrate doesn’t melt due to the effect of the vacuum. Instead the solid ice becomes a vapor. Also see Instant Coffee. DRY METHOD PROCESSING (Dry-Method Processing; Dry Processing) – See Dry Processing. DRYING METHODS – Sun-drying of coffee is accomplished by spreading the coffee beans out on a large, flat platform (e.g., deck, rack, floor, or hoshidana) and raking them regularly so they dry evenly. A hoshidana has a rolling roof that is closed during rains. Coffee may also be dried in mechanical dryers, some of which use a rotating hot drum. This mechanical drying can be completed in just a few hours though it is generally considered inferior to sun drying. DRY PROCESSING (Dry unwashed Method) – See Dry Processing. DULL – A coffee taste characteristic suggesting roundness yet lacking character. A dull taste quality is similar but not quite the same as flat.